Combine many PDF files into one neat PDF with bookmarks, table of contents and a cover page via GUI or command line. 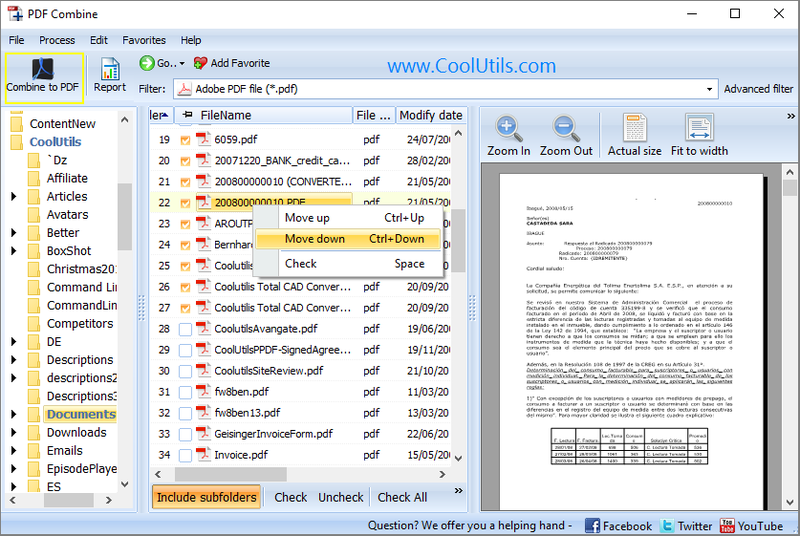 PDF Combine from Coolutils is a truly reliable tool to combine PDF files into one. Additional powerful option include creating boomarks out of file names, adding a Cover page and the table of contents. The app works with all types of PDF files produced by different programs. The output is always accurate which is important for e-books, invoices, contracts, bank statements and other documents. PDF Combine keeps folder structure if you combine subfolders within a folder. The powerful engine of the program makes the process of merging pdf files extremely fast. PDF Combine has a user-friendly interface and can be run via command line. Both beginners and advanced users will benefit from it.